In a world where each person is constantly bent on emphasizing their differences, chefs and lovers of food have done a brilliant job in helping everyone connect – through food. There are over a thousand dishes in a single culture alone, and if you combine all the unique and mouthwatering dishes from every culture, the outcome is sure to go beyond a million. With so many dishes to cook, every culture has their own way to prepare their food too. Some prefer baking, some prefer frying and some prefer a bit of everything. A fresh and enhanced cooking technique brought to life by imminent and successful chefs is “sous vide” – literally French for “under vacuum”. Sous vide is a cooking technique used by notable chefs all around the world. However, when it comes to home cooking, not many people are aware of this method of cooking, even though it was founded back in the year 1799, and rediscovered in the ’60s by French and American chefs. This method of cooking involves using a Ziploc bag or a plastic pouch which the food is placed in, by “vacuum-sealing” it. The pouch is then placed in water and let sit for anywhere between 1 to 48 hours depending on the item that the chef is cooking. The temperature is also much lower, around 55 to 60 °C, in comparison to normal cooking temperature. Due to the fact that the cooking time requires a lot more patience when you’re cooking via sous vide, a lot of people tend to question the authenticity of the cooking method as well. However, the whole purpose of sous vide is to be able to cook food equally and squarely. 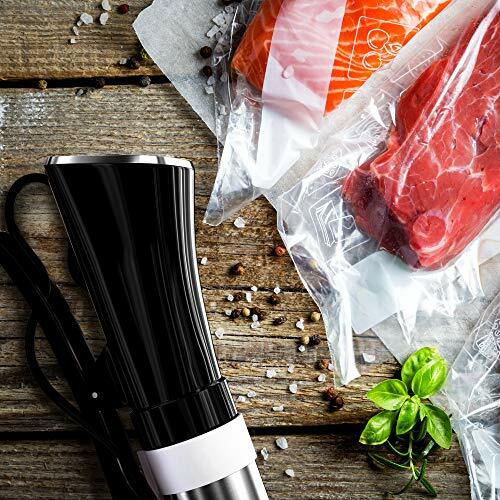 The result of sous vide is always guaranteed – the item is perfectly cooked internally without being overcooked externally, whilst the moisture is retained deliciously. Traditional methods of cooking, such as baking and frying, might seem easier and a lot more convenient due to the fact that we’re a lot more familiar with those methods. But the fact of the matter is that there are a lot of complications with cooking traditionally in comparison to sous vide. With sous vide, there is little to no possibility that the food you’re cooking will get scorched at any point. You can leave the food sitting for hours and it still will not get burnt or ruined.